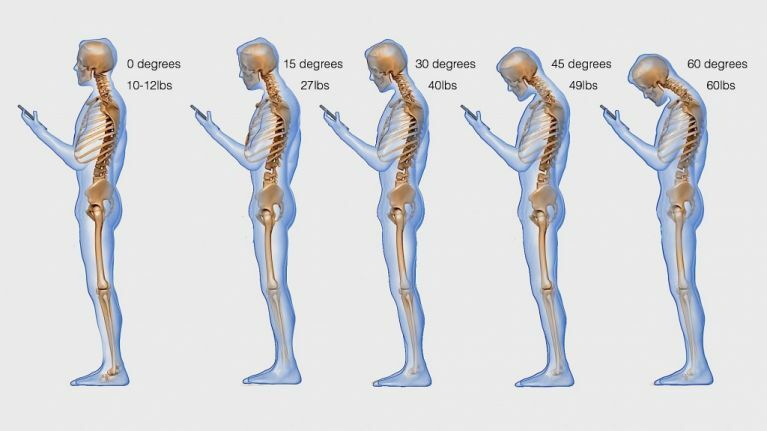 Chances are your smartphone addiction has already taken its toll on your social life and your productivity, but have you considered what it's doing to your posture? Continually looking down at that little glass screen can add up to 27kg of pressure on your cervical spine according to a new study from surgeon Dr. Kenneth Hansraj published in Surgical Technology International. The cervical spine is the part of the neck just above the shoulders. In this modern tech-obsessed era, we spend an average of two to four hours per day with our heads tilted downward. That all adds up to somewhere between 700 and 1,400 hours over the year, all time spent with excess stress on the spine. The figure for teenagers can be even scarier, up to 5,000 hours. Naturally, this hunched position can create spinal issues over time. Given that the long periods of time spent on these devices and in this position is a relatively phenomenon, we still don't know what the long-term effects will be. Hansraj, chief spinal and orthopaedic surgeon at the New York Spine Surgery and Rehabilitation Medicine, used a 3D model to measure the effects of constantly bending our necks in this manner. "As the head tilts forward, the forces seen by the neck surge to 27 pounds (12 kg) at 15 degrees, 40 pounds (18 kg) at 30 degrees, 49 pounds (22 kg) at 45 degrees and 60 pounds (27 kg) at 60 degrees," Hansraj wrote in Surgical Technology International. "The weight seen by the spine dramatically increases when flexing the head forward at varying degrees. These stresses may lead to early wear, tear, and degeneration, and possibly surgeries." 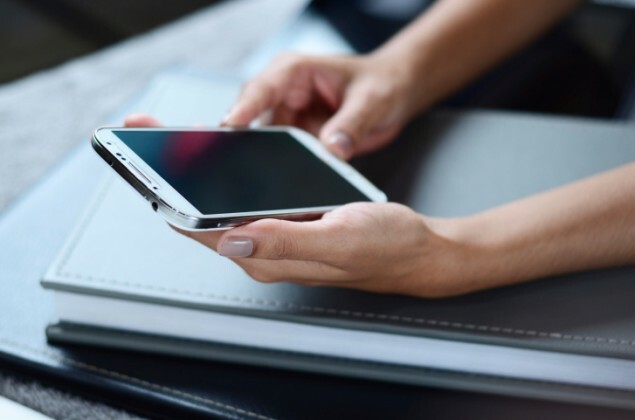 Dr. Hansraj added that it is “nearly impossible to avoid the technologies that cause these issues”, but said that people can take preventative steps by practising good posture while looking at their phones. He defined good posture as having a persons ears aligned with their shoulders. The surgeon also recommended daily exercises as simple as moving your neck from left to right several times, touching ear to shoulder on each side.